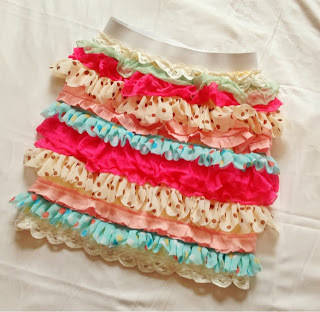 I love all things ruffle. Seriously....LOVE. Especially when those ruffles are on little girls. There is nothing better in the world. Last weekend I caught up on all my etsy orders (which is a first in such a long time it was a weird feeling) and had promised my 2 older girls that I would make them a skirt. 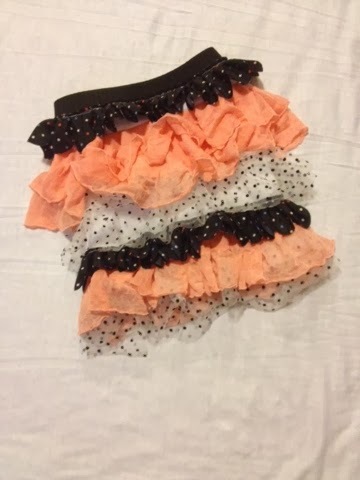 I didn't know exactly what I would make them, but my drawer of remnant ruffle fabric pieces was over flowing and driving me NUTS! is it just me or am I the only person that can't get a decent picture of ALL of my children at once. Oh well. I can't wait til she is 30 and I can say "check out that temper...all over a cabbage patch doll"
So this was the solution to my problem. I was able to use up some of my remnants and make the girls a cute new skirt. I also had some ruffle satin trim hanging around in my sewing room from Wholeport. 2. 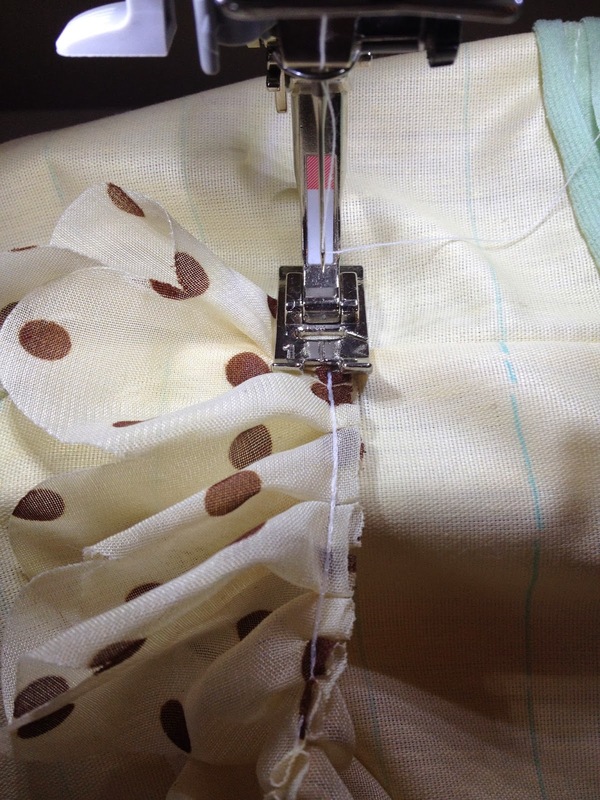 Sew your skirt together down the 2 sides. I used my serger. Then I serged/finished the top and the bottom as well . 5. 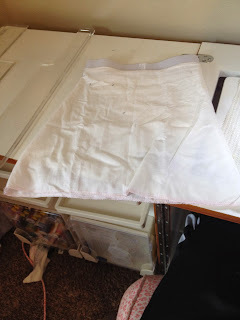 Now start at the top of your skirt and pick the first fabric you are going to be sewing on. 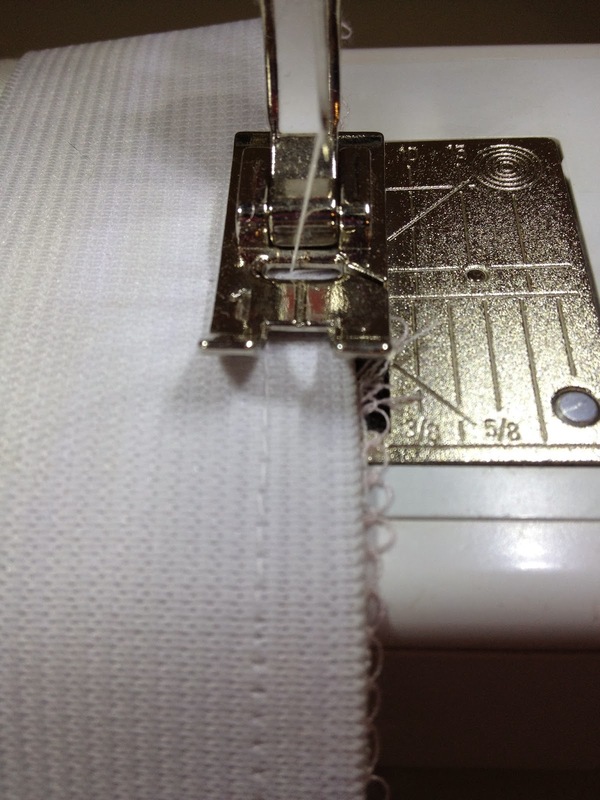 I sewed as close, or barely on top of the elastic, as I could. That way the base fabric wasn't visible after sewing. 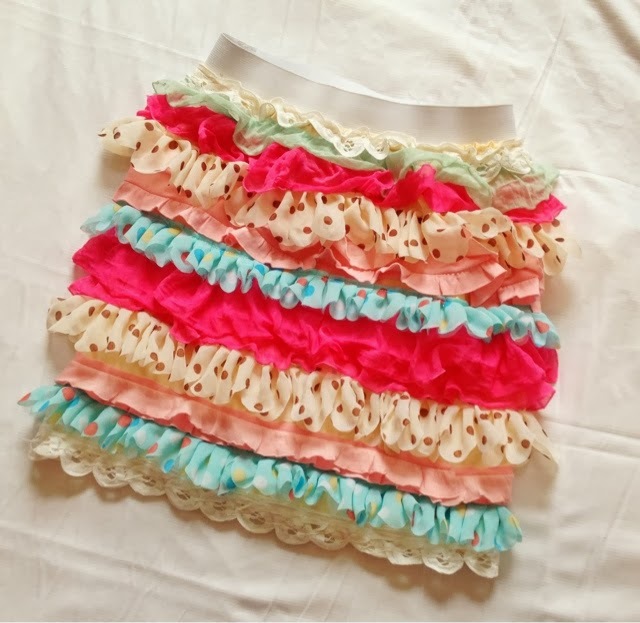 a. if you are doing 2 ruffle pieces then I would open the ruffle fabric up like in the picture below with the right side facing the base fabric and sew it onto your base fabric. 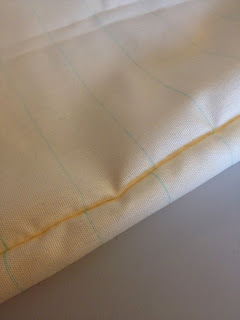 Then when you are done sewing the fabric will fold over and appear a lot fuller. 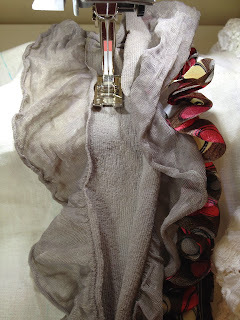 b. I would stuff as much ruffle fabric in while sewing as possible to make it fuller. The first couple rows I did were not full enough so I ended up going back and adding more fabric there. 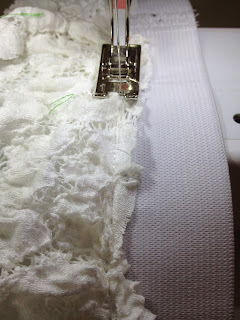 c. You could pre-ruffle your ruffle fabric before sewing if you find that easier to keep your ruffling even. I didn't, I just stuffed and sewed. 7. Make sure if you aren't going to be sewing a ruffle onto the very bottom of your base fabric where you serged it to fold it over and finish it nicely. 8. If you would like to add the ric-rac trim at the top now is the time. I just top stitched the ric-rac on right at the top edge of the first ruffle. Thanks so much for stopping by and checking out my tutorial. If you find it helpful you might consider following along for more great tutorials and information. These skirts are adorable! I wish I could make something like this! I have the sewing machine, the want but no skill. I use my machine for hemming my husband's pants and taking in the waist on my kids' clothes. These are ADORABLe and makes me wish I could sew! My mother knows how to crochet. Thank you for coming to the Inspire Me Monday Linky party on Monday. I'm Janice, one of your hostesses.